President Tayyip Erdogan told Turks on Friday to exchange gold and dollars into lira as the country’s currency plunged as much as 14 percent on worries about his influence over monetary policy and worsening relations with the United States. U.S. President Donald Trump said he had authorized higher tariffs on imports from Turkey, imposing a 20 percent duty on aluminum and 50 percent on steel. New Finance Minister Berat Albayrak – Erdogan’s son-in-law – acknowledged that the central bank’s independence was critical for the economy, promising stronger budget discipline and a priority on structural reforms. The lira TRYTOM=D3, which has lost a third of its value this year, fell on his comments and was trading at around 6.05 to the dollar after he spoke, nearly 9 percent weaker on the day. “The dollar cannot block our path. 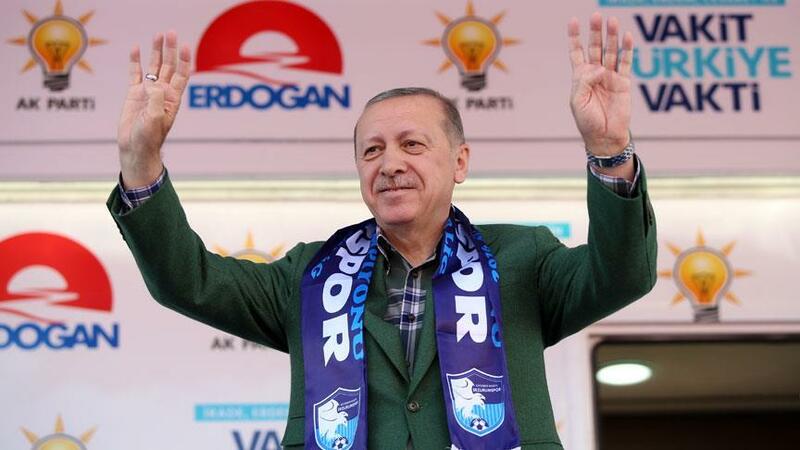 Don’t worry,” Erdogan assured the crowd. Meanwhile the cost of insuring exposure to Turkey’s sovereign debt through five year credit defaults swaps TRGV5YUSAC=MG has spiraled to the highest level since March 2009, topping levels seen for serial defaulter Greece GRGV5YUSAC=MG, which has three bailouts in the last decade. Presenting the government’s new economic model, Albayrak said the next steps of rebalancing would entail lowering the current account deficit and improving trust. Erdogan must be nuts . How can you tell your people to lose their shirt . Buying Liras now is suicidal . .. all the €uros he can get hold of.